The sweetest Valentine’s Day present we received this year! From the love and attention to detail put into the packaging (all made by owner Janine) I knew we were in for a real surprise before even opening it. 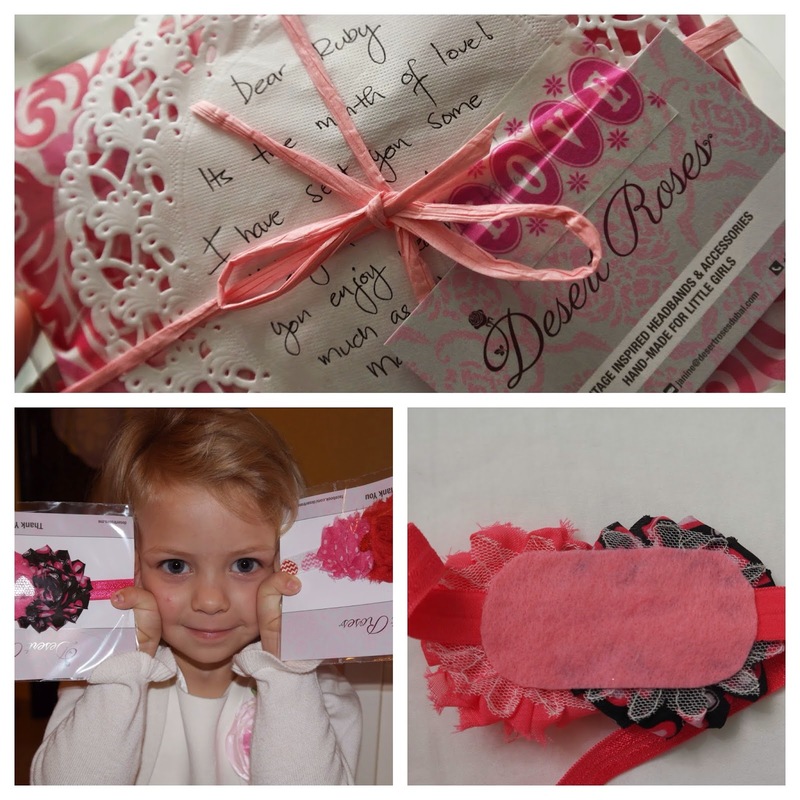 The woshi tape “Love”, handwritten doily note…pink raffia ribbon I was lovin’ it all! When Ruby peeled back the pink tissue paper she just about made me def. She is really into celebrating Valentine’s Day this year (she spent hours at the kitchen table writing each of her friends little cards). She was very quick to tell me how she wanted her hair for the rest of the week. A neat slicked back do’ with her favourite new accessories. The first day she wore the magenta one and the following day and days after…the pink and red combo! The detail on these handcrafted hairbands are superb. The soft elastic band was perfect for Ruby’s overly sensitive hair/head/and whatever other excuse she has when I ask her to wear them. 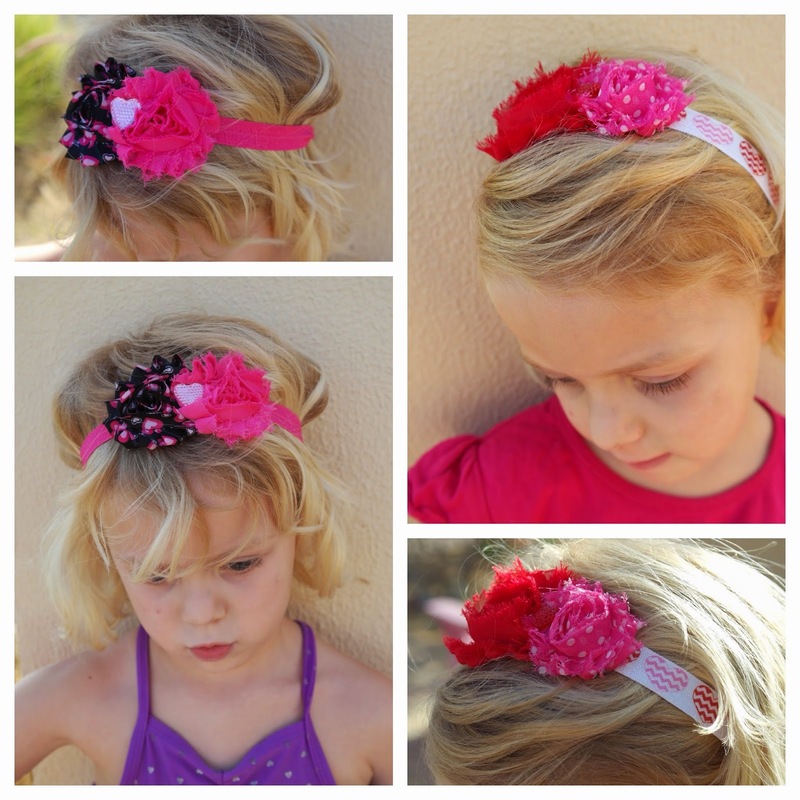 She can’t stand wearing plastic horseshoe-shaped headbands as they hurt her…she wore these ALL day! The quality of the handmade rosettes, cute heart rhinestones to the perfectly cut and adhered felt on the backing is fantastic. It is safe to say I will be a frequent buyer of Janine’s fashionable hair adornments!